Guy’s Litmus Test: Do you use client server networks? The decision to use a client server network or a peer to peer network is really a ‘no brainer’. 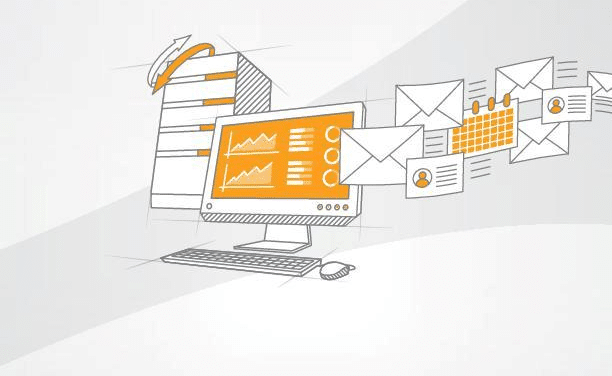 The benefits of central administration and single user logon far outweigh the cost of a server. I would stick my neck out and say that no company is too small to benefit from a server on their network. One client spent ages grappling with problems of XP acting as a server with Windows 98 clients. Each is designed as a client and neither works well as a server. Having made the case for servers, it is interesting to see the server philosophy in large companies. I keep wondering whether having hundreds servers is a badge of success or mark of inefficiency. Each case must be taken on merit. A small server in a branch office, can be much better than a using a slow link to authenticate at corporate HQ. Even this decision is not straightforward as fast WAN links get cheaper. On the other hands 10’s of small servers in a large building can be efficiently replaced by one or two powerful servers. Network speed (LAN and WAN). Server scalability e.g. extra RAM, another disk rack. Server characteristics e.g. DC, GC, DNS, DHCP services to well together while email and databases are best having their own server. See more network litmus tests. What helps with DHCP is a plan of what you want to achieve. For example, decide the IP address range(s), calculate the subnet masks, and consider scope options such as the address of the DNS server. 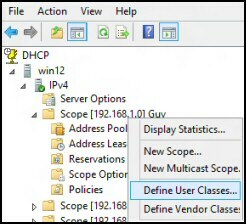 Begin by adding role DHCP server role to your Windows 2012 member server. 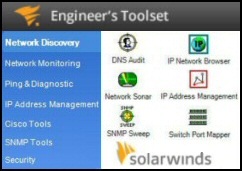 Start configuring in the Server Manager, click on the 'Tools' menu, there is DHCP Server.